VICE is today a media agency that started in Canada, as a magazine called Voice of Montreal. It became VICE when it moved to New York City in 1996. The magazine, which has a presence in 22 countries, was originally about pop culture and the arts, but evolved and now covers more serious and controversial issues, including the war on drugs, mental disorders, economics or the environment. They tell stories from a deeply personal perspective, trying to understand the real reasons and people behind the news that they cover. VICE also produces videos and documentaries which are available, for free, online for their global audience. They now have their very own HBO series. This is the trailer. 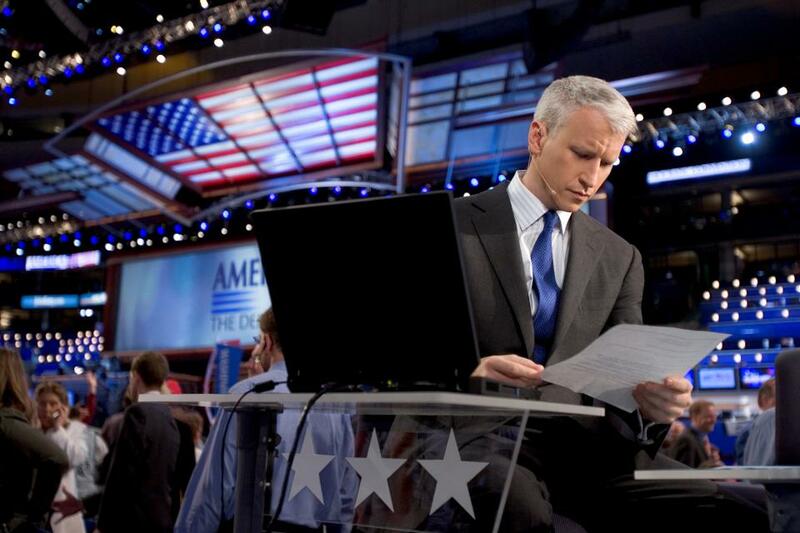 CNN journalist Anderson Cooper has always felt the need to be where the action is and where History unfolds. His personal style is both provocative and emotional, and is probably a result of a life full of unique experiences. 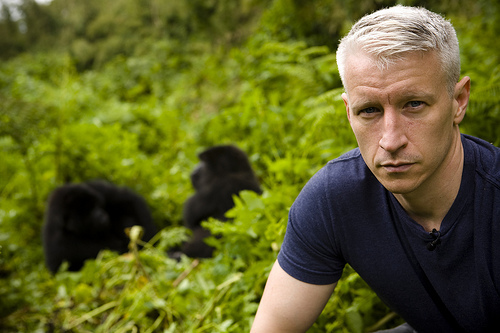 Anderson Cooper is an American journalist who has reported from almost every prominent war zone in the last 15 years, including Burma, Somalia, Afghanistan, Iraq and Rwanda. He has covered the tsunami damage in Sri Lanka; the Cedar Revolution in Beirut, the death of Pope John Paul II; the royal wedding of Prince Charles and Camilla Parker Bowles; the Egyptian Revolution from Tahrir Square, the bombings in London, the violence in Mexico. He is the son of artist, designer, socialite and heiress Gloria Vanderbilt, who was especially famous for her jeans collections in the 1970´s, and a descendant of Cornelius Vanderbilt, the railroad and shipping 19th century tycoon. Born to a wealthy family, he had a priviledged upbringing. At age 10, Cooper was already modelling for the likes of Ralph Lauren and Calvin Klein among others. However, as a journalist today he is a celebrity in his own right, with his trademark premature gray hair and his unique emotional, honest and provocative style of journalism. Adventurous from an early age, at 17 he travelled around Africa where he contracted malaria and had to be hospitalized in Kenya. When he was 21, his older brother commited suicide jumping from the 14th-floor terrace of Vanderbilt’s New York City penthouse apartment, a dramatic event that marked him profoundly. He studied both Political Science and International Relations at Yale University and he also spent two summers as an intern at the CIA. Despite being today the anchor of his own CNN show Anderson Cooper 360º, and having worked as a correspondent for 60 minutes, and for ABC news, he really has no formal journalistic education. His first correspondence work was in Myanmar, where he entered on his own with a forged press pass and started reporting on the student riots for Channel One, a small news agency where he worked at the time. In the early 1990’s Cooper lived in Vietnam for a year to study the language. Cooper brings a very personal style to his reporting that has been frequently called emo-journalism. 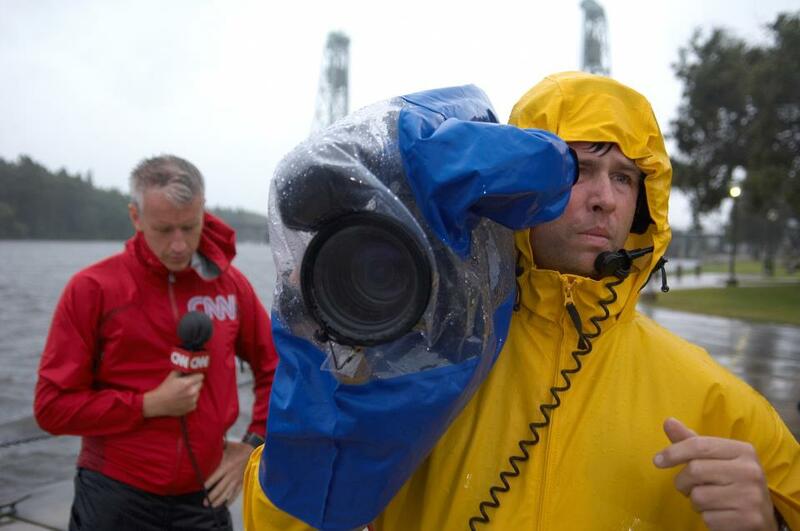 This was especially true during his coverage of Hurricane Katrina. Because of his credibility, humanity and authenticity he was once described as the anchorperson of the future. Recently, while covering the aftermath of the earthquake in Haiti, a violent fight broke out outside a store and a boy was wounded in the head with a stone. Cooper, who was reporting from the scene, stopped, picked up the bleeding boy and pulled him away to safety before continuing his reporting. The video was seen around the world. 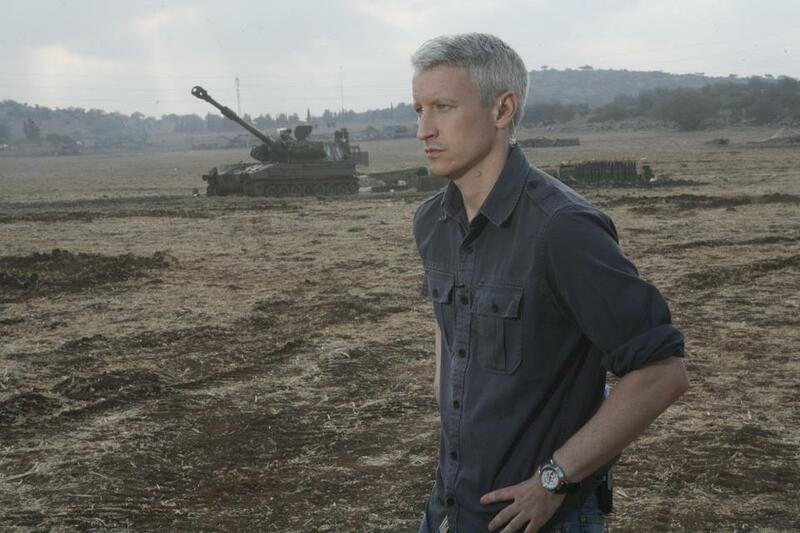 It is this kind of actions that set Anderson Cooper apart from traditional war journalists. “Dispatches from the Edge”, Cooper’s memoirs about covering the South Asia tsunami, Hurricane Katrina and other news events, recently topped the New York Times Bestsellers List and other bestseller charts. He reportedly earns more than $4 million a year. Al Jazeera’s cameras did not go off. They amplified the voice of all those protesters and broadcast it to the world. A revolution so unexpected that no one knew well how to interpret. The world was in a state of shock and taken completely by surprise. 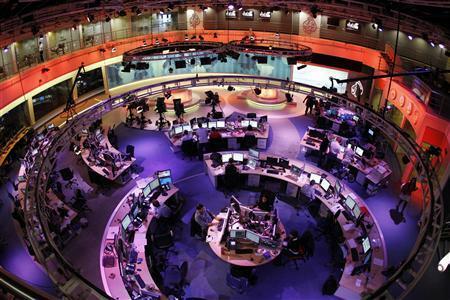 Al Jazeera’s newsroom in Doha (Qatar) was soon flooded with pictures, with videos and news, most from people in the streets, who had become front-line reporters. The network was there to provide context, amplification and even protection for protesters seizing power from their oppressive regimes. 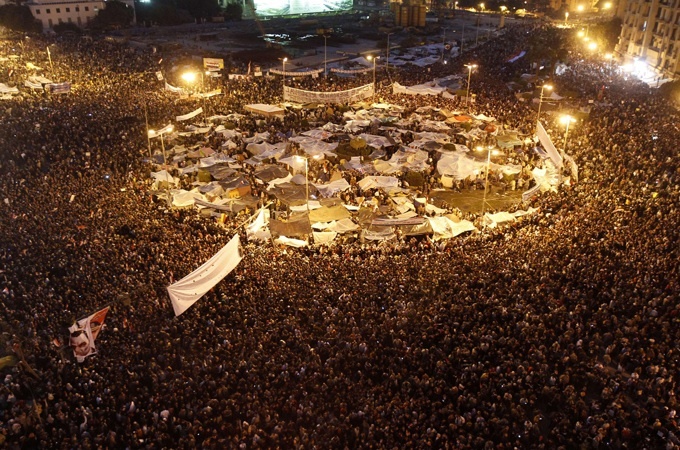 The world was watching: traffic to Al Jazeera’s online broadcasts skyrocketed 2,500 percent, during the 18 days of the Egyptian Revolution, and roughly half of that traffic was from the United States. 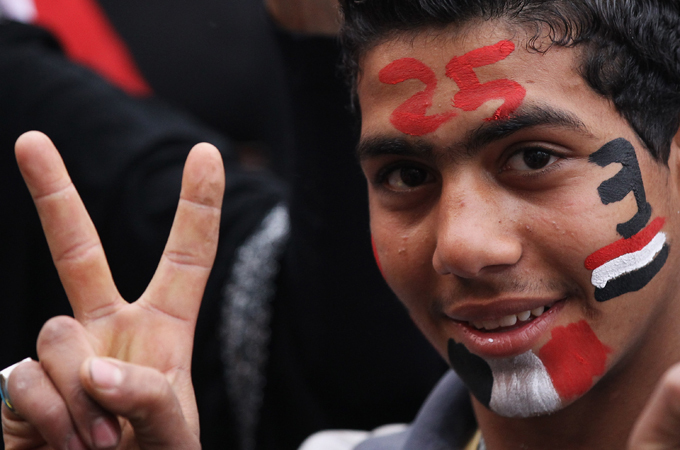 Ordinary people fighting to overthrow Hosni Mubarak discovered that ordinary people a world away actually cared. And then, as we were all watching this drama unfold, the spark also ignited in Libya, and then in other countries. Well aware he was representing the voice of millions of Arabs, Khanfar in his TED conference asked the world to support the young generation that was taking the Middle East into a new era. “The future that we were dreaming for in the Middle East has eventually arrived” he said. He urged the West not to interfere and impose its will and interests on the region in an effort to establish governments that would be friendly to the West’s economic and political interests. He asked that the West accept and support the choice of the Arab people. Al Jazeera, is headquartered in Doha, Qatar. Over the years it has expanded to what it is today, a network with several outlets, including the Internet in multiple languages. The Emir of Qatar, Sheikh Hamad bin Khalifa, provided a loan of QAR 500 million ($137 million) to sustain Al Jazeera through its first five years. The Emir had been contemplating a satellite channel even before he deposed his father. A free press complemented his vision of the emirate as a center of commercial development and progress. The network was launched in 1996, and even though it was financed in part by the Emir, the network was never about pleasing anybody, it soon was was shocking audiences and governments alike. It presented, for example, the Israeli speaking Hebrew on Arab television for the first time, and some talk shows were a constant source of controversy regarding issues of morality and religion. But Al Jazeera over the years seems to have finally earned the respect it deserved. It has endured and come a long way. With roughly 45 million viewers around the world today, the network once accused of having sympathy with extremist causes in the past is now invited to TED conferences. 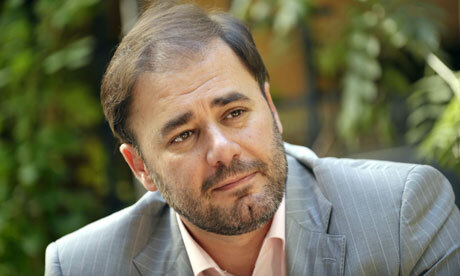 Wadah Khanfar has left and has been replaced by a member of the Qatar royal family. Will Al Jazeera lose its prestige, objectivity and credibility? It is hard to be a prophet in your own land, but Al Jazeera’s credibility has been hard earned. It wasn’t out to be just another news channel, it never took the easy route, it struggled to remain loyal to the principles of true unbiased reporting. It has not been an easy ride, and mostly one it made alone, while being attacked from all sides. It was the lone voice that cried in the desert. After all, Al Jazeera does mean “the island” in Arabic.